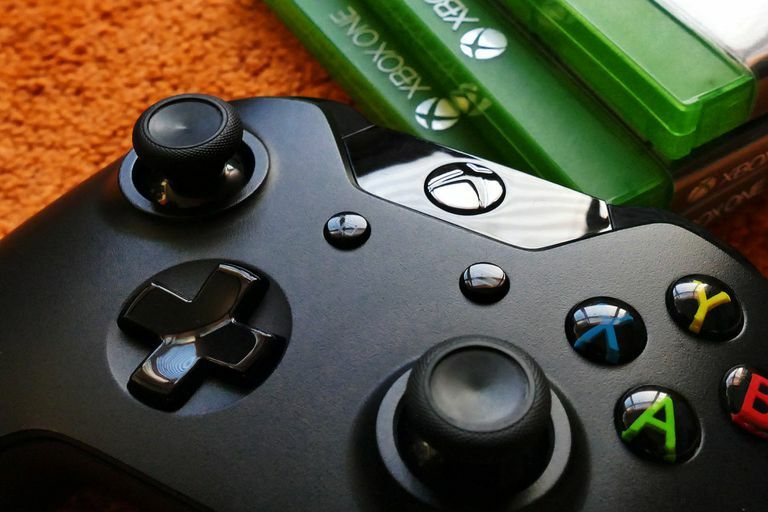 Microsoft's Xbox Achievements system for its Xbox One and Xbox 360 consoles gives players a way to quantify their virtual prowess. By completing games or performing certain tasks in them, players receive virtual awards that add to their overall Gamerscore, which represents a loose aggregation of a player's total gaming ability. Achievements provide more incentive to replay titles and offer some competition between friends as they try to get a total higher Gamerscore than their buddies. Microsoft created Achievements for the Xbox 360 in 2005. Originally, they were simple, and players could unlock every one in a game just by playing it from beginning to end. They have since become more complex and now include tasks like playing on the hardest difficulty mode or completing a shooter while only using specific (or even no) weapons. Microsoft has rules in place for how many Achievements developers can include in games and how often they could add to the list, but they aren't publicly available and have changed over time. For example, game makers used to be able to include Achievements that weren't worth any points at all, but those aren't allowed anymore. Your Achievements and Gamerscore are permanently linked to your Gamertag, which is the profile you created when you first set up your Xbox 360 or Xbox One console. Unless you make a new one, your Gamertag and all the information tied to it will follow you across hardware if you ever upgrade. When you're talking about Achievements, you're actually talking about two things: the Achievements themselves, and a person's total Gamerscore. When a player unlocks an Achievement, a notification appears on screen and they earn a certain number of points. These are typically based on the difficulty of the underlying task. So, for example, an Achievement for finishing a game's first level might be worth 10 points, while the one for finishing the entire game might be worth 100. The Gamerscore is the total of these points across every game a person has played. If you played two games and earned 500 Achievement points from one and 240 from the other, your total Gamerscore would be 740. Achievements and Gamerscore are entirely virtual concepts. You don't earn any rewards, either in game or in life from unlocking them. It's all about bragging rights and completion. If you have no idea how many points you've racked up throughout your Xbox gaming career, you can take a look at it on your Xbox One console. From the Home Screen, navigate to your Gamertag in the upper-left corner. You'll notice that your Gamerscore appears under your Gamertag. So if the number is all you want, you're done. You can also press A with your profile selected to open a side menu for more information. You can also press the Home button in the middle of your Xbox One controller to open the side menu. Navigate to the left to select the Achievements tab. The icon is shaped like a trophy. Highlight See all my achievements and press A. This opens a menu with every game you've played on your Xbox One. This includes Xbox 360 games that are backward-compatible. Navigate to the game you want to check the Achievements on and Press X. At the top of this page, you'll see how much of the game's total potential Gamerscore you've earned and how many of the available Achievements you've unlocked. Below this, you can see individual Achievements, the points you earned from them, and when you unlocked them. Achievements you haven't unlocked yet will have a lock symbol next to them. Achievements not a lot of other players have earned will have a diamond next to their point value. Most unlocked Achievements will tell you what you have to do to get the Gamerscore. However, some are secret and won't show a description until you earn them. The last-generation Xbox 360 also lets you check out your stats, but the process is a little different. Your Gamerscore appears under your Gamertag when you sign in to your profile upon starting up the console. You can also navigate to the Social tab or, like on the Xbox One, look next to your profile picture at the top of the screen. Press A with your avatar selected on the Social tab to go to your profile. Navigate right to get general information about your Achievements and Gamerscore. This includes the total number you've unlocked versus how many are available across all games and how much of your Gamerscore you earned on the Xbox 360. If you want to know more about individual games and Achievements, navigate back to the left and select the Achievements box. You can also press the Home button on your Xbox 360 controller from any screen to open the menu, then navigate left to the Games & Apps tab. The Achievements menu lets you look at the Achievements you've unlocked on both Xbox One and Xbox 360. Navigating this menu is similar to how you get around the similar menu on Xbox One: Select a game to see the Achievements you've unlocked and the ones you still have to earn. Some games on Xbox One have an option that will show your progress on selected Achievements. To turn this on, select Turn achievement tracker on from the Achievements menu after you press the Home button. This setting places a window on screen that includes status bars showing how close you are to unlocking your next Achievements. Several websites exist to help Achievement hunters keep track of what they've unlocked and to guide them in getting the maximum Gamerscore out of each title. Two of the most popular ones are Xbox Achievements and True Achievements. This website is a great resource for finding Achievement lists and strategies to unlocking them. Each game has its own page listing all of the available Achievements and their Gamerscore value. Some of the more difficult ones also include links to forums, in which players share tips and guidance. The lists also share the details of hidden achievements if you want to know them. Xbox Achievements also has convenient Road Maps offering information like how difficult it is to unlock everything, which Achievements are missable, and how many times you'll have to play through the game to get all of them. True Achievements has many of the same features as Xbox Achievements, but with an extra spin on the hunt. In addition to your standard Gamerscore, True Achievements also calculates a "TA Ratio" for each Achievement that modifies their value. The ratio is based on how many people unlocked it, which suggests how hard it is to obtain. So, a more difficult Achievement (i.e. one fewer people who played the game have unlocked) will have a higher TA Ratio and, therefore, a higher modified score, than an easier Achievement. So depending on which games they play and how hard the Achievements are, two players with the same Gamerscore might have vastly different TA Scores.